Gary and I can’t agree on the value of Hilton points… here’s why I’m right! Gary wrote a post today comparing the Marriott Bonvoy American Express Card and Citi® Hilton HHonors™ Reserve Card, both of which are phenomenal credit cards with great offers right now. I have them both and I think they’re both an important part of a well balanced mileage “diet,” which Gary and I both agree on. Simple value proposition: 1 Starpoint is worth more than the 3 Hilton HHonors points per dollar that the Hilton Reserve Visa earns on un-bonused spend. The basic value on a non-bonused dollar of spend is higher with the Starwood card. Starwood points are the single most valuable points currency. I value a Starpoint at somewhere between 2.2 and 2.4 cents apiece. Lucky thinks a Hilton point is worth 0.8 cents apiece (so each dollar of spend on the Hilton Reserve Visa would be worth 2.4 cents). I disagree — I value a Hilton point somewhere between 0.5 and 0.6 cents each. Gary and I are in similar camps as far as our valuation of Starpoints goes. I value a Starpoint at 2.2 cents per point, while I value a Hilton point at 0.8 cents per point (you can find my valuation of hotel points here). In other words, I value three Hilton points slightly higher than one Starpoint. This is a pretty important distinction, since the Starwood American Express offers one point per dollar spent on everyday purchases, while the Citi Hilton Reserve offers three points per dollar on everyday purchases. So Gary and I are on opposite sides of the equation as to which card to use for everyday purchases (though it’s somewhat of a moot point for me, since I go with the third option — gift cards!). But let’s go with Gary’s scenario for a minute. Averaging his valuations, he values a Starpoint at 2.3 cents per point, and a Hilton point at 0.55 cents per point. So he values one Starpoint at roughly 4.18 Hilton points. I’m in a generous mood, so let’s call it one Starpoint per four Hilton points. Hilton and Starwood have two of the best award redemption values in the entire industry. Starwood has Cash & Points, while Hilton has AXON awards. Through an AXON award you pay a total of 145,000 Hilton HHonors points for a four night award stay at a category 7 (Hilton’s top category) hotel. Usually I’m not a huge fan of these “package” awards, since I don’t want to stay in one place for so long. Starwood offers the fifth night free on award redemptions, and Marriott has some great vacation packages for seven night stays. Five nights in one place is pushing it for me, and seven nights is really pushing it. But I think just about all of us wouldn’t mind staying in one place for four nights, and that’s usually what I aim for when I’m on vacation anyway. You could stay at the Conrad Koh Samui in an oceanfront villa, where the cheapest refundable rate is $805USD per night including tax. Or you could stay at the Conrad Maldives in a king beach villa, where the cheapest refundable rate is $1,092USD per night including tax. Or you could stay at the Conrad Tokyo, where the cheapest refundable rate is $610USD per night including tax. Or you could stay at the Conrad Hong Kong, where the cheapest refundable rate is $560USD per night including tax. Or let’s tone down the “aspirational” level of these awards (in terms of only looking at exotic destinations) and look at the Hilton Trafalgar London, which is probably Hilton’s nicest property in London. The cheapest refundable rate there is $450USD per night including tax. I could go on and on, but here’s my point. For a four night AXON stay you’re paying 36,250 Hilton points per night. Gary values roughly four Hilton points at one Starpoint, meaning the above hotels would be valued at ~9,000 Starpoints per night. You can’t find a single hotel in any of the above cities (with the exception of the Sheraton London Heathrow) for that number of points. Heck, in Koh Samui for example, the cheapest points rate at the W Koh Samui (the most comparable property) is 60,000 Starpoints per night! Starwood actually charges 10,000 points per night for their category four hotel, which includes such exotic properties as the Element Arundel Mills, Sheraton Mahwah, and Four Points by Sheraton Dubai. I don’t know about you guys, but I’d rather spend the equivalent of ~9,000 Starpoints at the Conrad Koh Samui than ~10,000 Starpoints at the Sheraton JFK. To be clear, I’m not staying Starpoints aren’t valuable. They’re incredibly valuable for Cash & Points redemptions, and I’ve made many Cash & Points bookings with them. I think Gary is spot on in his valuation of Starpoints. I just believe that he’s substantially undervaluing Hilton points, and that my valuation of 0.8 cents per point is a conservative one. I think Hilton is leaps and bounds ahead of Starwood when it comes to redeeming points for aspirational properties (which, last I checked, both Gary and I are into), while Starwood is way ahead of Hilton when it comes to mid-range properties. And for the record, I’m arguing that one Starpoint is worth roughly 2.5 Hilton points. @ Dan — All fantastic points, and a very important distinction to make. It is worth keeping in mind, though, that even for non-mega spenders, there are ways to earn hundreds of thousands of Hilton points through credit card sign-up bonuses, while the same isn’t true with Starwood. Hence my “in a vacuum” statement. But since you can get so many HHonors points with the cards (I’ve got 5 nights at the Conrad HKG coming up next month!) and you can’t with SPG, I think that tilts the argument towards SPG. One of the mantras of FT (er, the mileage game) is to maintain accounts across multiple programs. That is so true. If I’ve got enough HHonors points for an AXON award, and I’m low on SPG points, I’d put 30k in my SPG account before I’d put 90k in my HHonors account. Have to say I agree with you…especially as one that has an upcoming axon award stay at the Conrad koh samui. Even without the AXON awards, as you point out, HHonors provides better point value at aspirational properties that are all suite or all villa, as SPG charges twice the number of points for those properties. Even 50,000 a night for the Conrad Koh Samui or Conrad Maldives would be a great use of points. Not on your team. You base your value on redemption at a handful of properties for a particular stay length. Sorry, but that is not how to value something. I value SPG higher for the c and p value I can get at hundreds of properties and the transferability to all sorts of airlines. @ Jack — I’m not suggesting Starpoints are any less valuable, but rather just suggesting that Hilton points are *more* valuable as an absolute matter. If you value Hilton points at 0.55 cents each, for example, you’re basically valuing a night of an AXON stay at under $200USD. And I’m not just talking about the handful of properties above, but the 100+ category 7 hotels out there. Unfortunately, value is a utility measurement, not a cost measurement! the true utility of the points varies by the type of stay you expect, either an aspirational, mid-range, fully free or point+cash awards. Each of these options creates a different valuation. My point, is that both of you are right, and you are both wrong. Each point should have a range of value. SPG points command a premium due to their 1:1 flexibility in a bunch of other programs. That benefit alone may make them worth more than their simple redemption value. HHonors points may carry a lot of extra weight in the huge availability of domestic Hilton properties, at a greater variety price levels. But Hilton points have no flexibility whatsoever. I agree with you 100%. This year so far I have booked AXON awards for 8 nights at the Conrad Tokyo and 8 nights at the Hilton London Tower Bridge during the Olympics. I agree with your argument, but only because you made it in a way that would be favorable for your example (only aspirational properties for a certain amount of time). I think looking at the points programs overall, with low-end to high-end properties and other transfers included, SPG wins. According to your own valuation, all of the above hotels value at 13k SPG points. Can you find anything even close to those at 13k SPG points. This is to say your example failed to demonstrate one way or another. Find another reason. @ ken — If my math is right I think I’m actually valuing them at 14,500 points each, and like I said, that’s a conservative valuation. I wanted to be fair with my valuation to account for the fact that not all redemptions are going to be at the highest end properties. I could also easily argue that the “fair” value of each of the above hotels is 20,000 SPG points per night, but I really don’t think it’s fair to value one Starpoint at substantially less than two Hilton points. But yeah, my valuation is conservative in my opinion. I agree with you both of you! The answers to some of these questions really depend on how many points we’re talking about. If you’re asking me if I’d rather have 30,000 SPG points or 90,000 HHonors points (in a vacuum) I’d pick SPG. I can meaningfully use those 30,000 points. 90k HHonors points alone don’t excite me. I do think that my distinction is important. Most people aren’t going to be able to charge $50k in a year. Most people can’t get an AXON stay just from normal CC spend alone. Most people can pick up 10k-15k spg points, which can get you a three-day weekend at a Category 5 hotel on C&P. I think that SPG is very valuable for stays at lower-end properties, more so than Hilton. For high end properties Hilton pricing works out much better than SPG. As an example, most $150 per night properties in the US cost around 30,000-40,000 Hilton points, or 7,000-10,000 SPG points. However, if you look at the top end, Hilton Waldorf comes in at the max peak season rate of 80,000, with SPG topping out at 35,000 points. In addition, Hilton has (in my opinion) much wider selection of very high end properties. 36250 / 2.2 * 0.8 (both are your valuation) = 13k SPG points. From your own valuation, you can’t use 14.5k SPG points at any of the location either. So if you go along with that reason, SPG points should be about 1.2 cent instead of 2.2 cents. SPG points are more valuable in a “whole is greater than the sum of its parts” sense. You can’t find a few examples and put a value on it that way. @ ken — But I’m not suggesting that’s how you should be redeeming Starpoints. There are more valuable ways to redeem them, which is why I’m not basing my valuation of Starpoints on the above cities. But Gary and I are on the same page as far as the value of Starpoints goes, so to me that’s a moot point. If nothing else, Starpoints are worth 2.2 cents each because they can be converted to airline miles with a 25% bonus. I really think you should determine the value not only for redeeming points (then united miles can be valued @ 10 cpm or more and UA club card gives you 15% return on all purchases), but also @ the cost of earning or bartering for them (even from another fter). Lets say you have $200 ua voucher. How many HH points you can get for it on CC? Your London example may favor HH, but that’s one city. SPG has 4 downtown properties, 1 cat3 (7K), 2 cat4 (10K), and 1 cat5 (12-16K). The cat3 & cat4 are comparable quality/location-wise to the HH hotels. So at the worst, comparing the cat4 to the AXON for a 4 night stay, 1 SPG = 3.1 HH. At the best, comparing the cat3 with a 5th night free to the AXON + 1 night, it’s 28K SPG or 165K H, so 1 SPG = 5.9 H.
@ swag — Your point is spot on, but I think the value of hotel points has to be based on the maximum value you can reasonably get from them. For example, the St. Regis Bangkok is a category 6 hotel, making it either 20,000 Starpoints per night or $150 plus 8,000 Starpoints. Paid rates are typically around $200, so that’s an awful use of Starpoints, with less than one cent per point of value. But the thing is Gary and I don’t disagree on the value of Starpoints. I think they’re worth about 2.2 cents each, and so does Gary. It’s just that Hilton points are worth much more to me due to their potential. I think I’m in the camp of “don’t care”!! Since every stay I make is work related and to lock in status, I NEVER have a non-reimbursed, non-work trip. At some point I’ll take a vacation somewhere nice and use them, but until then I just accumulate points!!! I’m on the side that thinks “valuing” points based on a few selected examples out of thousands of properties is a futile exercise. Neither of you is wrong or right. Valuing points is an entirely subjective proposition. But how do you define “reasonably”? Are you referring to a specific quantity? I reasonably can get 4 cpp for 30k SPG points, but you won’t value them that high. Likewise, I roughly value HHonors points at 1 cpp, because I stockpile them for Category 7 AXON redemptions. If I just wanted to grab a night somewhere, I couldn’t value them that high. If your evaluation of point values is truly based on the maximum you could reasonably get for them, you should be looking at Cat 7 AXON HHonors redemptions, and for SPG, looking at C&P redemptions at < Category 5 properties. If C&P isn't a fair comparison because it's capacity controlled, then you should probably compare it to 5th night free awards at Cat 3-5 properties. @ Dan — You’re of course correct and this is where points valuations get very subjective. There are two things you can base the value of an award redemption on — the actual paid cost, and what you actually would have otherwise spent for the hotel. The same is true for airline miles. All the time you see people touting “I got 20 cents per mile because I redeeemd for international first class.” I don’t buy into that. Similarly with the above examples I could argue that Hilton points are worth more than two cents each, since I’m redeeming 36,250 Hilton points for a $800+ per night hotel. But I wouldn’t actually pay $800+ per night for a hotel, so that’s not a fair valuation. That’s why I value points at a lot less than that. That’s why I kind of “cap” the value of award redemptions. I won’t value a night anywhere more than about $350-400. That’s why I value Hyatt points at 1.6 cents each even though I can redeem them at Park Hyatts that would be $1,000+ per night. But if I’m valuing Hilton points at just 0.55 cents each, I’d be saying that I value a free night at the Conrad Koh Samui/Tokyo/Hong Kong/Maldives at under $200 per night, which seems on the low side to me… by a lot. Which HH card gives 3 points per dollar spent on any category of spend? Did I see that mentioned somewhere? @ pointasaurus — All three Hilton co-branded credit cards offer a minimum of three Hilton HHonors points per dollar spent. I did not realize that, thanks. That’s what happens when you get credit cards for sign up bonuses and then mothball them. Guess I better dust them off and run up another 100,000 or so points at work on them. HH points are valuable to me because of how easy it is to acquire them. I know that is counter to normal economics but since most of my points come from spend, I really milk the bonus categories. 1 SPG point would have to be worth more to me than 6 HH points, which they aren’t. 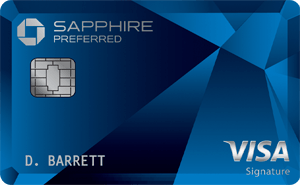 I don’t spend enough to divide it up between 5 or 6 programs so for me it is HHonors Amex and the UR Sapphire/Freedom combo. This was a great breakdown, but now I’m even more confused. This is like choosing a favorite child for a parent! I think with the ease of earning points from both spend/stay, coupled with AXON and attainable Diamond status, I would skew slightly towards HHonors and their co-branded cards. Though some of my favorite vacations have been booked with Cash and Points. @Lucky- In flexibility I mean non-hotel possibilities. Wow, so many people missed the point of this and started crying about you ignoring good redemptions for Starpoints. I think your valuation of Hilton points is spot on, and your reasoning is fine. I feel like people don’t understand valuing different points based on different criteria. As you point out, SPG has amazing value in low-mid end hotels and transfers to airline plans. Hilton has amazing value on medium length high end stays. Hyatt has amazing value on suite stays at Park Hyatt’s. All used in different ways, but all have unique value propositions. I vote with Gary. I never understood why anyone would value Hilton points at 0.8 c when they can’t be trusted to not devalue their program every other day. A point’s value is determined solely on what you redeem it for. We all have different travel patterns, preferences, and destination goals so this value will vary for everyone. If you do not redeem them then they are worth nothing. I consistently average 2-cents per point for my Hilton redemptions because I only use them for Category 7 AXON and GLON awards at aspirational properties. So I personally value them much higher than both of you. I get the best value for SPG points at low-end to mid-range properties — and especially with cash and points where I average anywhere from 4 to 12-cents per point. There are some really nice mid-range properties. 25k and 35k Starwood properties with 2-cent per point redemptions are hard to justify when I am only earning 1 point per dollar on spend. Hilton points are much easier to earn with 3x/5x/6x on spend. So if I am getting 6-12 cents worth of Hilton points and 4-12 cents worth of SPG points for $1 of spend, I break even no matter which point I choose plus I get the best of both worlds. Yeah, the whole thing really is subjective. Many times, the cpp calculation is just a mental note, not a determining factor. Also, I booked a suite at the Bali Hyatt for 8,000 points. I can’t tell you what the cpp is because I don’t know what the cash rate is. SPG C&P is usually great value, but there are exceptions. (Right now W Bali has standard rooms for $320++, or 8,000 SPG points + $150, which is a piss poor value.) I’ll check comparable local properties, but if I get what I feel is a “true” 4 cpp or better value, I book it. IOW, I do do a quick check to make sure I shouldn’t be paying cash (happens), but beyond that, I don’t bother with a cpp value. “My” value is always going to be really low anyway, because my travel budget can’t support $300/night hotel rooms, even if they are twice as nice as $150/night hotel rooms. @lucky There is a slight flaw in that Gary is suggesting that one should get the Citi Hilton card which only gives access to GLON awards and not AXON awards. Also, just look at TPG’s contest, someone extracted 45 cents per starpoint from an award. I challenge you to find a Hilton award that extracts 15 cents per star.point anywhere. It’s so specific to your specific use. Both programmes have their strengths, and it is up to the individual and their specific needs at the time whether or not you value those strengths. I, for instance, earn most of my points from business travel (about 3 weeks/year) and day-to-day credit card spend, and like to redeem for longish family vacations at high category hotels. I also never pay more than $200/night for a hotel room out of pocket, which means I don’t value the room I’m getting at the going rate. All that given, Hilton, using AXON, gives me a slightly better return on my spend for that, and the Gold Status from the Citi Reserve card gives me slightly better perks than I could hope to gain from the Starwood card in full redemptions. However, for points+cash it’s a very close match. I personally value them at something like 0.75 c/pt at Hilton,1.6 c/pt at Hyatt and 2.5 c/pt at Starwood as a rule of thumb, but in general I plan ahead and give them a notional value based on the needs of my next redemption trip. Some other options for Hilton points. The Bank of America Virgin Atlantic credit card gives up to 4.2 Hilton points/$ (1.5 miles/$ + 15,000 bonus miles for $25k spend, exchanged to Hilton HHonors at 2:1). The Amex PRG does pretty well with greater flexibility, if converted to Virgin Atlantic whenever there is a transfer bonus. Finally, Chase Ultimate Rewards -> Amtrak -> Hilton might also be a path for some, although in general I would value Chase UR -> Hyatt as a better redemption there. @ David — Yeah, but hopefully we can agree a night at the Sheraton Beijing isn’t worth ~$600USD+ per night. That’s the point at which you’re only getting 45 cents per point of value on paper, since surely none of us value them that highly. It’s the same thing as arguing that United miles are worth 15 cents each because I can use them for a $22,000 first class ticket to Australia, no? I am firmly in Gary’s camp here. First of all, many of us do not redeem points for AXON awards (for me, it is because i rarely even have enough hilton points for such an award, and also because i very rarely stay in the same hotel for so many days). This significantly reduces the relative value of hilton points for me (and for many others in my position!) For the record, i value a hilton point at about 0.4 cents. When you talk about valuations, you have to keep in mind that many of us don’t play the points game as intensely as you, or have as many points, for various reasons. And for such people the ability to use SPG points for miles is much better than staying at some fancy hotel for 4-5 days. 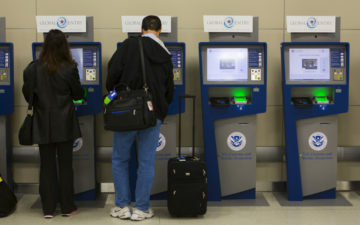 On another note, a lot of this discussion seems to be going in circles because people are confusing “value” (subjective) with “cash price.” If you redeem points for a hotel room or flight or whatever that would have cost you $5,000 in cash, you didn’t get $5,000 worth of value out of your points *unless* you would have been willing to spend that $5,000 in cash had the points redemption not been an option. When I redeem 140k UA miles for an F ticket that would have run $15k cash, I’m not getting 10+ cpp in value, because I would never dream of paying $15k for that ticket; in reality it’s probably closer to the 2.5 ccp valuation reflected by the roughly $3500 I would have paid for the ticket. Lucky is usually very careful to note this issue, so I’m surprised he didn’t in this particular post, as I think it’s relevant particularly when you are talking about $800+/night hotel rooms. Starwood isn’t capacity controlled. Starwood gives me a suite 80% of the time- in rome, Paris, etc. Hilton scared me with premium pricing each time I tried to use it. Do they give suites to diamonds? @ Beachfan — For what it’s worth, the non-premium pricing was available on the first dates I looked up for each of the above hotels. While Starwood promises suite upgrades based on availability, Hilton gives the hotel the discretion of offering them to Diamond members. Lucky, THANK YOU for seeing some light on this…I’ve been arguing this for a long time, I feel like I’ve just won a battle! In addition to your argument, Hilton becomes even more valuable when you realize that it’s far, far easier to earn Hilton points than it is Starpoints, particularly when staying at Hilton. As a SPG Platinum, I earn 3 pts/dollar on my stays. As Hhonors Gold, I earn 17.5 pts/dollar on my stays (10/dollar base, 2.5/dollar gold bonus, 5/dollar “points and points” earning style, of which SPG has no equivalent. So not only are aspirational Hilton properties more easily attained than equivalent SPG properties, it’s far easier to actually earn the points you need to redeem for those stays. To me, Starwood points are worth 2.2 cents and Hilton points are worth 0.5 cents. That values a Point at 0.63 cents each. So let’s split the difference and say it’s about in between 0.5 and 0.8… 0.65. That’s what I’m going to use going forward. I read this article with great interest. There is no right or wrong answer here. Let me give you an example. Use of AA points on CX for U.S. to Asia flights. Could you rather spend 70,000 (round trip, excluding AA credit card 10% reduction) for economy or 135,000 for first class? Economy is about $2000 giving a value of $0.03 per AA mile, while First is about $16000, $0.12 per AA mile. I like to go First, some other relatives of mine will go economy. As previous posters pointed out, SPG is better for mid-range hotels, while HH for aspirational awards. I think for a lot of people its not a straight comparison. I value Hilton more because for various reasons I don’t have Platinum status anymore with SGP and also lost Hilton Diamond. It was much easier though to attain Hilton Gold and you do get decent value out of it. So for a lower status member like me I can add free Internet and free breakfast to the value of my points. I won’t get that at Starwood anymore. I value SGP points slightly above 2 cents and Hilton around 0.7. But for spend with no bonus I am just using my 2% cash back card because nothing beats money for flexibility if the points value is only 10% higher. @ Jason — Sorry I wasn’t clear, I no longer recommend the Hilton American Express Surpass card for every day spend. It’s a perfectly fine card, and I do think it’s worth paying the annual fee for an extra 20,000 points. The only benefit of the no fee card is that you can keep that forever with no fee and still get access to AXON awards. I agree with this post entirely. I value my HHonors points in the .8-1.0 cpp range because I only use them for my AXON vacations. I give the extra .2 cpp bump in the intangible value of making sure my wife has awesome vacations. hard to put a price on that, so I guestimated at .2 cpp. Also, if you use VISA gift cards purchased at a grocery store, that means you’ll get 6 Hhonors pts per dollar on everyday spending (minus the fees to get the card or straight 6x for regular gift card). I definitely value 6 HHonors pts at more than 1 SPG pt. I think Gary comes out on top in this one. A very good analysis, but I disagree with your London example. A comparable Starwood property in Londo is The Sheraton Park Lane, a category 5 hotel, which can frequently be had for 12,000 points per night. On a 4-night stay, you would pay 48,000 points; however you would be giving up the 5th night free. On a 5-night stay, still the same 48,000 points, or roughly the 9,000 points per night you quote for the Hilton Trafalgar 4 night stay, but for 5 nights, you’d need to spend another 50,000 HHonors points, which makes the Trafalgar significantly more expensive. I’ve stayed at both hotels, and would rather stay at the Sheraton Park Lane any day of the week, not to mention the better value. I have to agree with you Ben. When it comes to aspirational properties Hilton beats out Starwood and SPG wins on mid range. My biggest problem with SPG is the outrageous redemptions for the higher cat properties that basically guarantee no sane person will redeem points. On the otherhand, both Hilton and Hyatt offer reasonable top tier redemptions. I think someone (maybe a certain successful young travel blogger) should explain to SPG that they could have the best loyalty program and capture even more of the repeat hotel customer market by making top tier redemptions feasibly priced. As it is, they force people who are interested in aspirational awards to chose a different loyalty program. Now that Hilton has announced their major devaluation I’d love to see your thoughts on what a Hilton point is worth now. This would be helpful in objectively evaluating what the new relative rebate is on the various Hilton credit cards. @ greek2me — Before providing an updated value I’d first like to see what happens to AXON awards, as that will greatly impact my answer.